Clean modern 3 bedroom house. 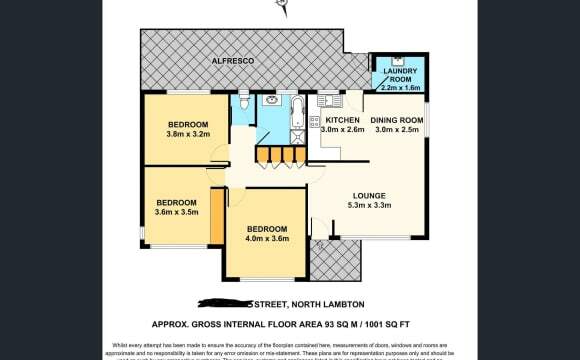 2 bedrooms with built in wardrobes to choose from with the choice of it being furnished/unfurnished. 2 living areas. Air conditioning, Foxtel, own large bathroom (as I have an ensuite). A large backyard. 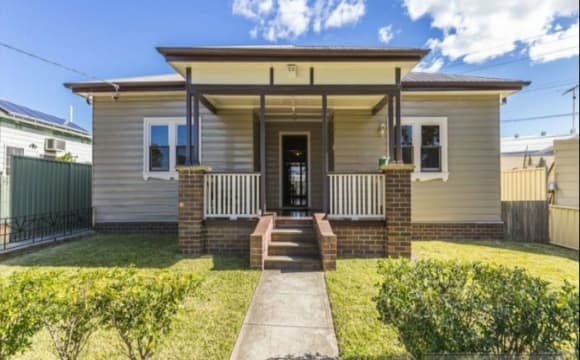 Walking distance to Westfield Kotara and public transport. 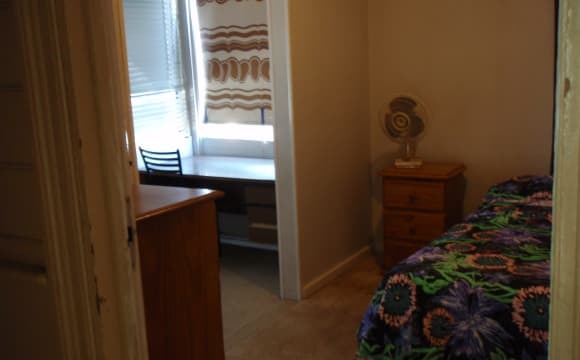 The house is very close to New Lambton shopping centre and is on bus routes to the University and the City. Two room are available .Both are identical but mirror reversed and each has a large Sunroom / Study attached and are North facing. The large kitchen has two large refrigerators and two microwaves. The laundry has a clothes dryer and automatic washing machine. There is a large down stairs screened area with a gas barbecue, which is great for entertaining , studying and drying clothes. Great view of city lights from the large front porch and your bedroom window, Air conditioning, central to everything, short walk to the bus stop, large backyard. The house is quite old in it's décor (if you don't mind shag pile carpet and wall paper then no big deal) but it is brick and fairly large. There is plenty of space to relax out of the room. During summer the salt water pool is divine! Some air conditioning to the lounge room but not in the bedroom. I purchased and put a portable air con in my room as it can get a bit hot at times. The room available has a sliding door access to the back patio/yard. It has a full size built in wardrobe and currently has a double bed. There is a bus stop out front and another one a few metres up the road. I am within walking distance of JHH. Down fall - is the traffic on the main road. I can provide off-street parking in the driveway. There is space for things like pushbikes etc in the garage. 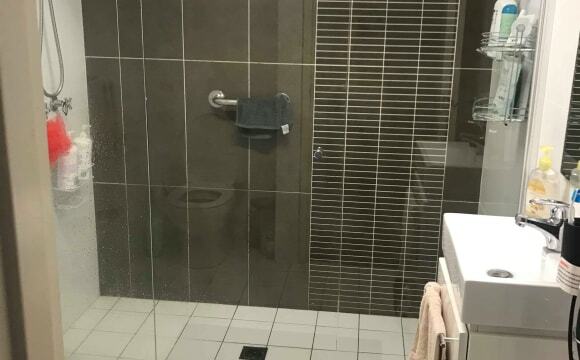 One bathroom with a separate toilet. Big bath tub. Second toilet down stairs. The kitchen isn't huge but there is heaps of cupboard space. There are pets in this home. 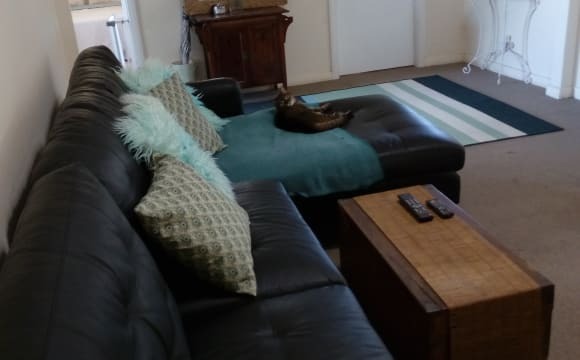 Very easy going flat mates, tidy house, air conditioned in main lounge room. 5-10 minutes to the beach, 2 minutes away from Westfield shopping centre. Close to public Transport. The room has a built in set of wardrobes and a ceiling fan. The house has one bathroom and a second toilet, nice deck and backyard to chill out. Large room, off st parking, close to Westfield, built in, brand new Large room, off st parking, close to Westfield, built in, Brand new building brand new 2 story townhouse that has 2 bathrooms, ceiling fans &amp; off Street parking. Room located on upstairs floor, large bedroom with ceiling fans, shared with clean, friendly &amp; not noisy housemates, large lounge room downstairs, a full size bathroom tiled floor to ceiling, &amp; also you will have full use of the second level brand-new kitchen, bathroom &amp; large downstairs lounge room with the ceiling fans throughout and down lights shared with working, reliable, clean &amp; quite housemates. 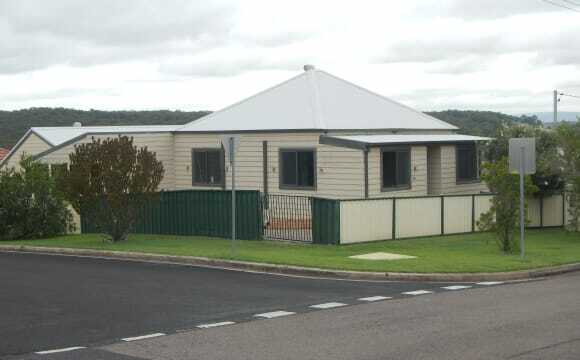 Seperate laundry New 520 L fridge Plenty of off street parking nice grassed area for outdoor entertaining full-size rotary close line. Gas instantaneous hot water system so you're never out of hot water. 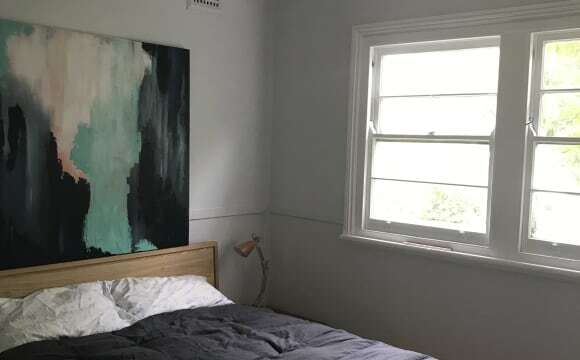 An extra charge of $40 per week per housemate covers all the bills gas, electricity, water, insurance unlimited nbn Internet fastest available 100 bps Lawn mowing service Bond is the standard 4 wks Rent minimum 1 wk in advance. 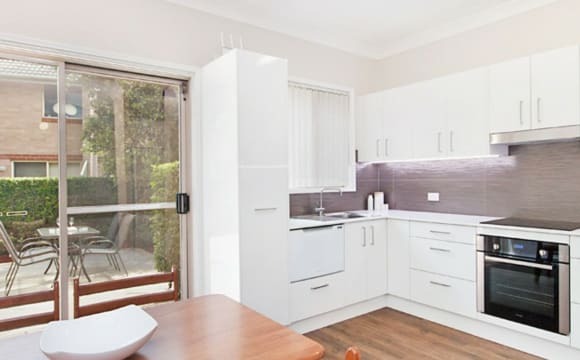 It's a small two bedroom apartment pretty central about a 15-20min walk to Kotara westfield shopping centre, close to Adamstown train station. 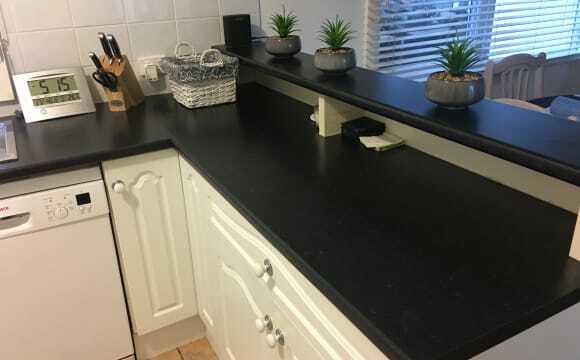 The flat itself is small but good enough size for two people.. 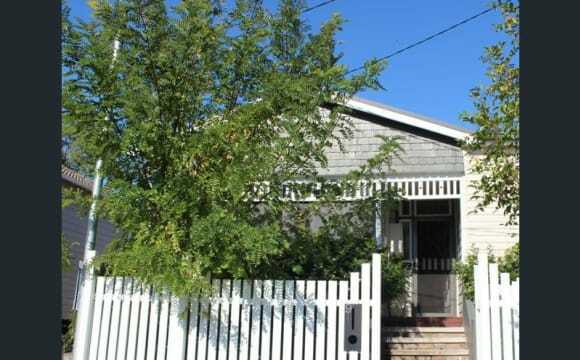 The house is a renovated cottage with floorboards throughout, features include a huge kitchen with a large 5 gas burner stove and dishwasher, perfect if you love cooking, Air conditioning in the living area, paved and grass backyard with garage for storage or parking if needed. The room available easily fits a queen size bed and comes with a glass door built in robe and your own ensuite bathroom with shower and toilet. We are a 3-minute walk to the Adamstown shops which has a fruit and veg store, Foodworks, several take away shops, The Nags Hotel pub etc and a 5-minute walk to Adamstown Train Station and several bus stops. We have a lovely house to share. So close to amenities- local shops, public transport etc. All within walking distance (2 min walk). Plus only seven minutes drive to beach ... but who's counting!! Huge rooms &amp; high ceilings and mostly floor boards. Best location in Adamstown! 10 mins to the beach, 10 mins to Charlestown Square and 5 mins to Westfield. 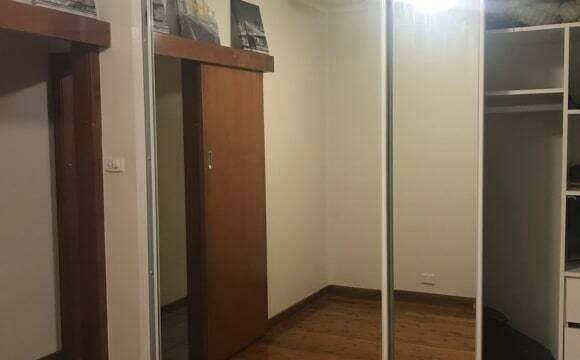 Large room with a double built in wardrobe as well as plenty of other storage in my 3 level split apartment. Huge deck which is awesome in summer and plenty of off street and on street parking available. Sorry no pets! Close to Adamstown shops, Westfield kotara,beach, quite handy place to live in..
Modern two story townhouse in awesome, quiet location! Spacious living areas with air conditioner, great for entertaining. House is made up of three bedrooms, two bathrooms, spacious kitchen and a small courtyard. The room available has a large built-in wardrobe, ceiling fan and new carpet. You will share the main bathroom with one other person. 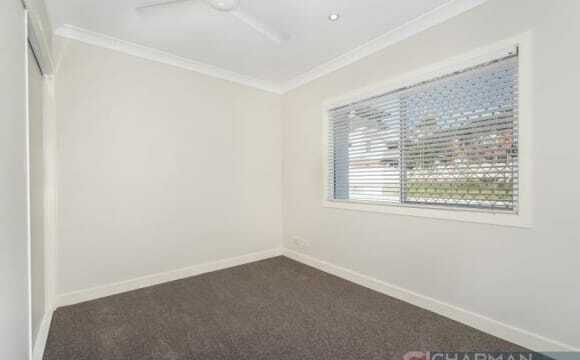 Close to Kotara Westfield, 5-10 minutes to the beach, and a short drive to the university. It is a four bedroom house with one bathroom and one seperate toilet. The household is fully furnished (minus the rooms). There is a front yard and a large backyard. 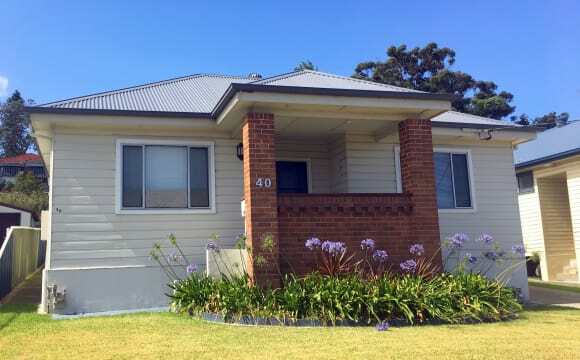 The house is close to shopping centres and a nice neighbourhood for a walk or run; lots of parks nearby. There is Netflix and Stan available. We have a new dishwasher (which we are extremely excited about haha) we have a garage which we use for storage as well as both driveway and on street parking.